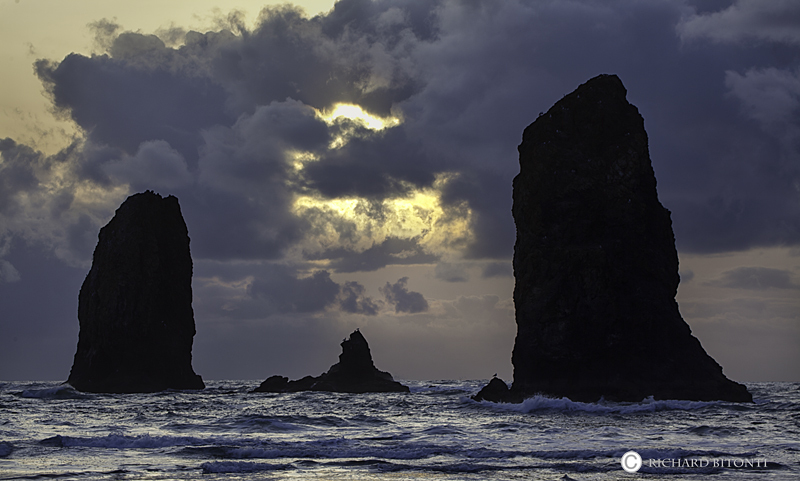 Two iconic sea stacks silloueted on the shoreline at Cannon Beach, Oregon. These two stacks are just south of the large stack called Haystack Rock. This popular area is located on the northern Oregon coast approximately 70 miles west of Portland. Photo © copyright by Richard Bitonti.